A police procedural drama series that centers with the fictional team from the Naval Criminal Investigative Service which is responsible for investigating crimes and cases involving the U.S. Navy and Marine Corps. From murder and espionage to terrorism and stolen submarines, these special agents travel accross the globe to investigate all the crimes where the Navy or Marine Corps is involve. 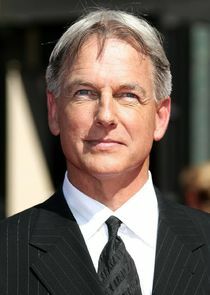 Stars Mark Harmon as Agent Leroy Jethro Gibbs, Sasha Alexander as Special Agent Caitlin "Kate" Todd, Michael Weatherly as Special Agent Tony DiNozz, Pauley Perrette as Abby Sciuto, David McCallum as Dr. Donald "Ducky" Mallard, Sean Murray as special agent Tim McGee, Cote de Pablo as Mossad Agent Ziva David, Lauren Holly as Jenny Shepard, Rocky Carroll as , and Brian Dietzen as sst. M.E. Jimmy Palmer.